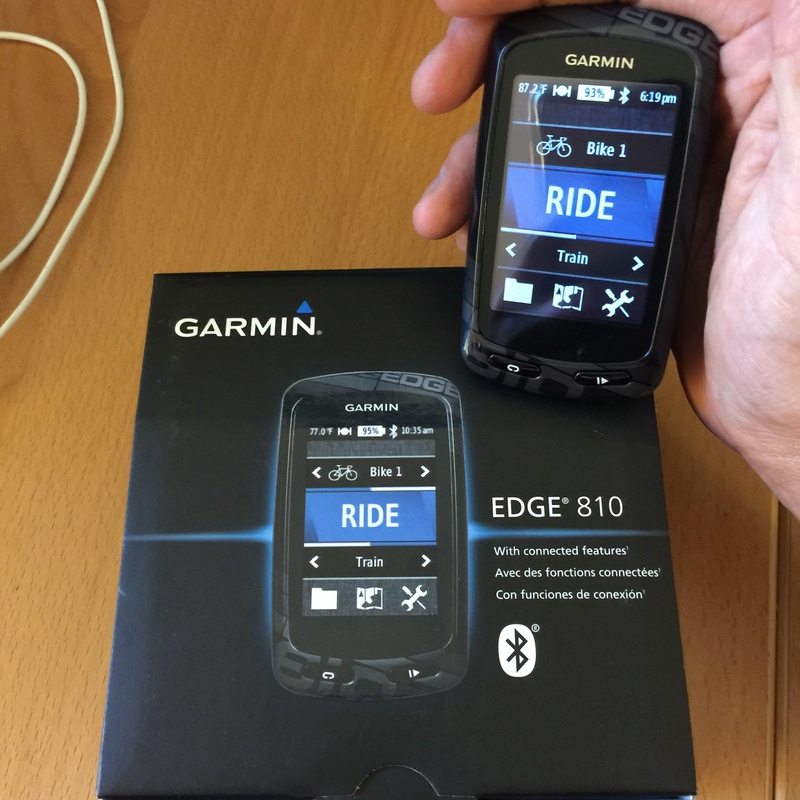 My dear friend Lynda gave a huge birthday present: Garmin EDGE 810. It’s an amazing cycling computer! GPS. Location finder. Maps routes. Speed and Distance meter. Critical for Strava. Heart rate monitor. Connects to my MIO Link heart rate sensor. Helps you build during training. Puts a number on effort. Helps you execute on race day. Stay in heart rate zones for long runs. Power meter. Connects to PowerTap sensor. Watts. Effort. Helps you build during training. Helps you moderate and execute on race day. Steady power on uphills, downhills, and flats. Total watts calculate work done in kJ (kilojoules). Connects to my iPhone. This will make automatic ride updates to Garmin Connect –> to Strava and to Training Peaks. Color touch screen. It works with gloves (unlike iPhone). Swipe from screen to screen for different view of data. Weather information. via iPhone app and bluetooth connectivity. Read all about the features at DC Rainmaker’s In depth review here. Garmin 810 main webpage here. It’s amazing. Thank you, Lynda!